Happy Friday! Another work week is winding down. So, here is a baker’s dozen of elephant jokes to brighten your day. I know you will groan, but I bet you will tell at least one of them to someone today! Q: What do you call an elephant that rides a bus? Q: What kind of elephants live at the North Pole? Q: How do elephants talk to each other? Q: Where do you find elephants? A: It depends on where you left them. 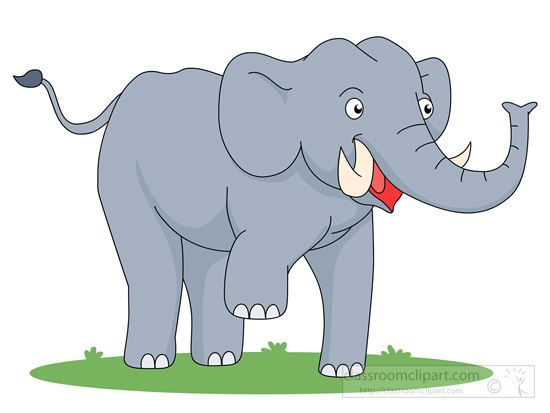 Q: Why don’t elephants ride bicycles? A: They don’t have thumbs to ring the bell. Q: What weighs 5,000 pounds and wears glass slippers? Q: What did the cat say to the elephant? A: Don’t be silly, elephants can’t change light bulbs! Q: What do you know when you see three elephants walking down the street wearing red sweatshirts? A: They’re all on the same team. Q: How do you fit 5 elephants in a Volkswagen Beetle? A: Two in the front, two in the back, and one in the glove compartment. Q: What do elephants do for laughs? A: They tell people jokes. This entry was posted in Friday Funny, Humor on July 27, 2017 by Leonard.